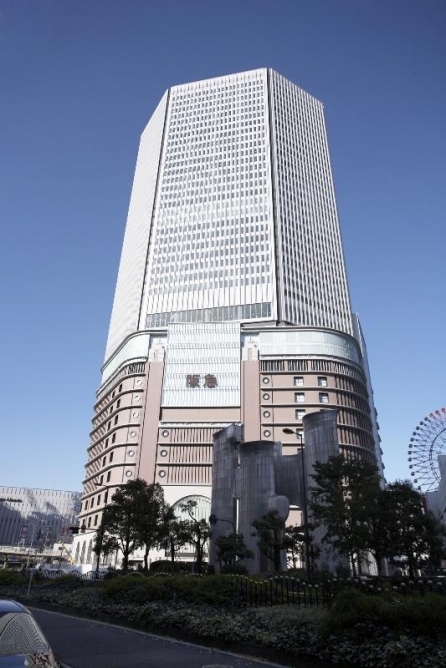 Mitsubishi Electric currently holds the title for the largest elevators in the world. The five 80 passenger elevators are 11.5 ft. wide, 9.2 ft. long and 8.5 ft. tall. They boast an impressive 11, 574 lbs capacity and glass windows with a view. and are a feature of the 41-story Umeda Hanku Building in Osaka, Japan. 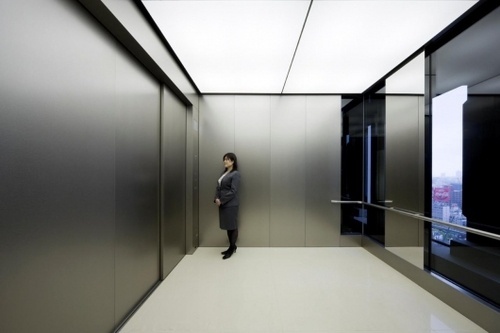 You can find these amazing elevators in the 41-story Umeda Hanku Building in Osaka, Japan. Umeda Hankyu Building has a doublelayer structure, with Hankyu Department Store Umeda Main Store occupying the lower levels from floors B2 through 13, and offices located on the higher levels from floors 15 through 41. 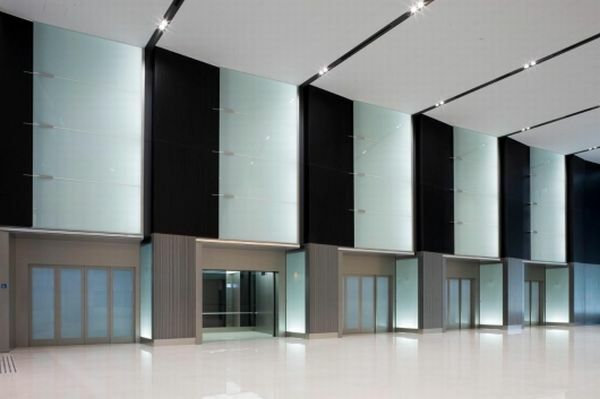 The elevators provide Umeda Hankyu office employees and visitors direct access to the office area. On the 15th floor, passengers are able to select from three different elevator banks according to their destination. The A bank serves floors 17 through 25, the B bank serves floors 26 through 33 and the C bank serves floors 34 through 41. There are six new elevators for each bank, also supplied by Mitsubishi Electric.